Raising the minimum wage rate from $15 holds more weight than stricter gun control laws with voters from Generation Z, according to new polling data from the Morning Consult. Why it matters: Despite the impact of mass school shootings in America, the issue doesn't move voters from 18 to 21 years old as much as anticipated. Other issues like minimum wage, LGBT rights and taxing corporations hold more importance to them. 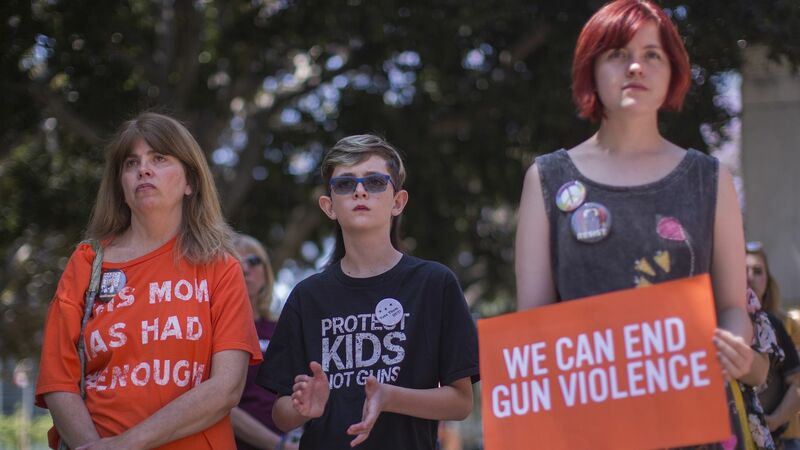 The backdrop: Since the shooting at Marjory Stoneman Douglas High School in Parkland, Florida in February, students from the March For Our Lives group have been pushing younger voters to get to the polls. However, the message of gun control may not be as powerful as initially thought. By the numbers: The morning consult polled 12,771 registered voters, which included 494 voters between 18 and 21 years old, to gauge their opinion on issues such as gun control, minimum wage and medicare for all. Only 56% of voters surveyed said they'd be more likely to support a candidate advocating for stricter gun laws. 68% of those same voters said they'd be more likely to support a candidate who supported raising minimum wage. 66% said they'd do the same for a candidate supporting medicare for all. Abolishing the Immigration and Customs Enforcement agency was at the bottom of the list at 46%. The big picture: The issue of gun control isn't as high on voter's lists as some may think, overall. Only 38% of overall voters said it would be a top priority for them in a Morning Consult poll conducted in September. Yes, but: Young voters are still mobilizing. Voter registration acceleration among them is increasing and they're expected to play a key role in battleground states.